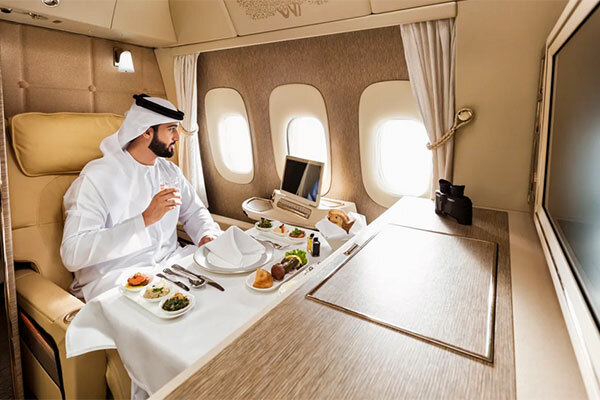 Emirates will be operating its latest Boeing 777-300ER aircraft fitted with the ‘Game Changer' First Class suites from Dubai to Riyadh starting from April 16 and Kuwait starting from June 1. Travellers to/from Saudi Arabia can experience the new Boeing 777 product on flight EK 819 departing Dubai at 0655hrs, arriving in Riyadh at 0750hrs. The return flight EK 820 leaves Riyadh at 0935hrs, arriving in Dubai at 1230hrs. The new Boeing 777 aircraft will begin operating the route five times a week, and from 1 June 2019 will begin flying on a daily basis. Customers flying on the latest Emirates Boeing 777 are then able to enjoy seamless connections via Dubai to London Heathrow, Paris, Madrid, New York JFK, Hyderabad, Barcelona, Los Angeles, Geneva and Amsterdam. The new suites include seats that recline into a fully flat-bed that manoeuvres into multiple positions and can be placed in a “zero-gravity” state inspired by NASA technology, for a feeling of weightlessness while flying. Passengers can also choose from a multitude of lighting colours and adjust the temperature of their suites for a fully customisable experience. The industry’s first virtual windows can be experienced by customers seated in suites located in the middle aisle. The virtual windows project a view from outside the aircraft using real time fibre-optic camera technology. Emirates also provides binoculars to customers who want to explore the vistas and cities below during their journey. Customers in each suite can also seamlessly communicate with the cabin crew or request room service and in-suite dining through an innovative video call function.